Mike Kish is an Investment Advisor Representative with Lincoln Financial Advisors Corporation. As a CFP® Mike has a fiduciary* duty to his clients, a higher standard than most advisors. By being a fiduciary, Mike puts his clients’ objectives first in all circumstances. He began his career with Lincoln in 2010 as a Para-Planner where he worked with Lincoln’s extensive network of financial professionals across the country creating and implementing financial plans and solutions. Mike believes in bringing a holistic approach to financial planning and his clients. The use of comprehensive analysis sits at the core of his approach to all his clients' planning needs. Through planning, Mike delivers professional recommendations tailored to the specific needs and objectives of his clients. From his local office in Irvine, California, Mike and his team offer quality investment and insurance products and services. Mike earned a B.A. in Economics and a B.S. in Business Administration with a concentration in Finance from California State University Long Beach. 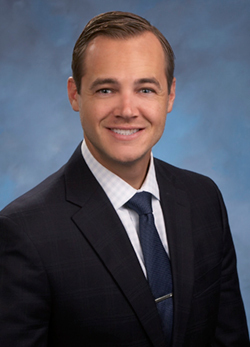 During his tenure at Long Beach State University, Mike was selected to participate in the Student Managed Investment Fund (SMIF) where he performed security analysis and portfolio construction while managing the program’s three portfolios. Mike believes continuing education and life-long learning are critical components in the ever changing industry of financial planning. Mike is a member of the Orange County California chapter of the Financial Planning Association (FPA) where he attends various industry events throughout the year. Including various additional professional qualifications, he has studied and achieved the CERTIFIED FINANCIAL PLANNERTM (CFP®) practitioner designation and the Chartered Retirement Planning CounselorSM (CRPC®) designation from the College for Financial Planning. Presently, Mike resides in Lake Mathews, California with his wife Kristin. When not working, he enjoys being with family, hiking, golfing, and surfing. *Only to the exent that I am providing you with investment advisory services, including either comprehensve financial planning services or ongoing investment advice as part of an LFA investment advisory program pursuant to a written agreement and related dsclosures that descrbe this investment advisory relationship, I am acting in a fiduciary capacity under the federal securiites law,in particular the InvestmentAdvisers Act of 1940.